Cyberoffice is an automatic synchronization module (webservices) from PrestaShop to Dolibarr ERP/CRM. Very easy to install and simple to use.Everything will be automatically synchronized in real time in your Dolibarr ERP / CRM. You will install easily the synchronization module to your PrestaShop store . It will save you lot of time in sales management and accounting of your business. This module is for all ecommercant who wishes to increase his available time to manage his store. This will prevent input errors because no manual input will never need to integrate your products, your prices, your customers, your inventory , orders , invoices, payments in your Dolibarr ERP / CRM. Everything will be automatically synchronized in real time. Any event in Prestashop will be updated in real time in Dolibarr. Your purchase is protected by free technical support. 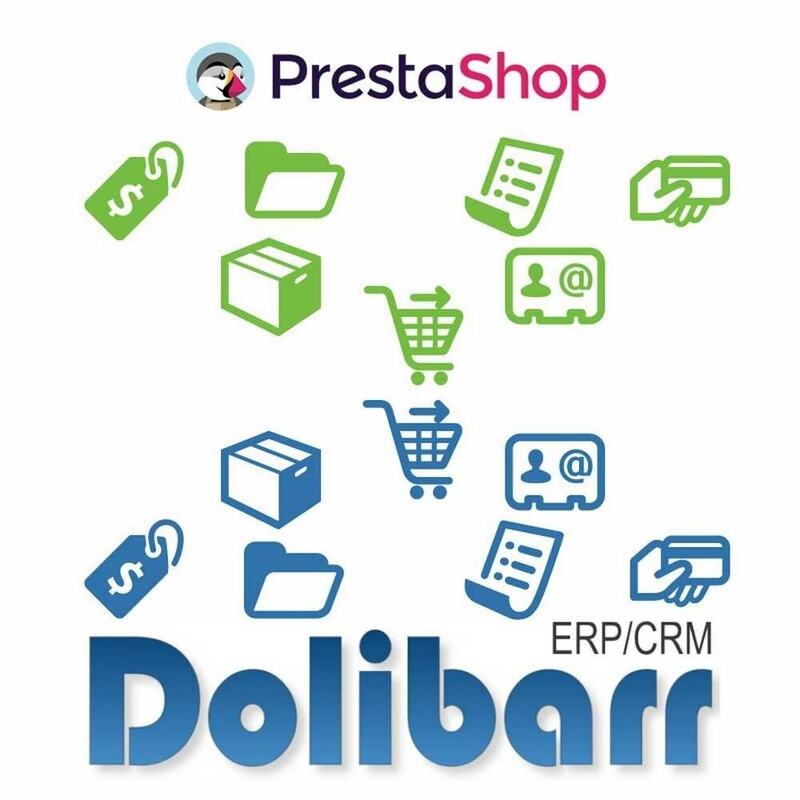 Categories, products, prices, inventory, customers, barcode UPC, EAN13 and ISN for prestashop v1.7, orders, invoices and payments are integrated into Dolibarr in real time via webservices. CyberOffice can be installed at any time in the life of your Prestashop store. It is recommended to put it in place when you have obtained your first sales and you control the processes of use of your shop. Maximum resources of the shop is dedicated to customer satisfaction and not sales management. This module must be install in the back office "Add a new module"
A second module (supplied) must be install in Dolibarr on 'htdocs' directory..